Marcom 1000 days – make it a thousand and more! If you were offered R10, you would say why not make it R100; and if you were offered R100, you would say why not make it a thousand. A thousand still stands for something in our society and economy today but there is a different 1000 however that offers far more value and comes at the great cost of cautiousness and discipline. For the team and RPC Astrapak’s Marcom factory they understand that safety comes first. They have just achieved the incredible achievement of 1000 injury free days. This achievement is greeted with great enthusiasm as it displays the commitment to people’s lives and our assets. It doesn’t come without sacrificing the short cuts and taking the easy route as opposed to the right route, and it certainly doesn’t come without constantly applying one’s mind to the environment in which we work. “It is so easy to do what looks quicker and saves time – to think that nothing will happen. But it is this attitude that ends up costing lives and creating losses of all sorts of proportions. 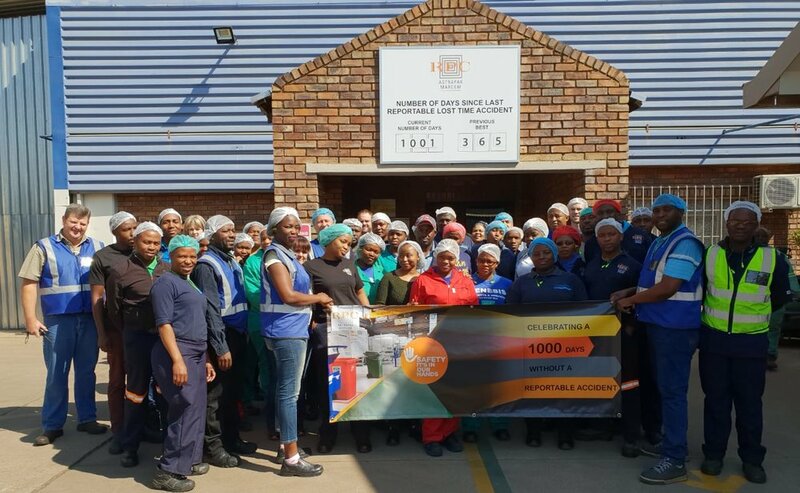 I am very proud of the team and encourage each and every employee in every factory to use this as a target to achieve and beat,” said Robin Moore, RPC Astrapak CEO. RPC Astrapak continues to invest in training and awareness programmes which build a safer environment for all employees.